Otavalo Market, Ecuador | rubybeanx. 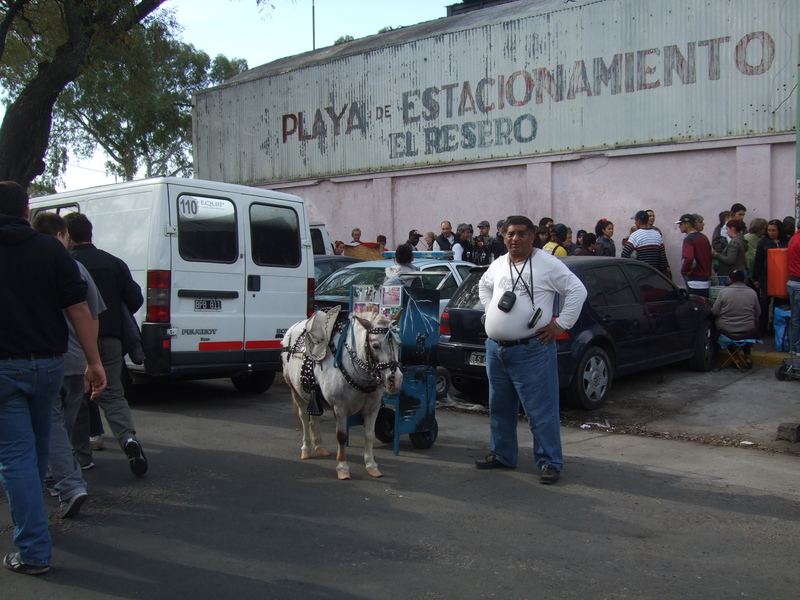 The Otavalo Market is situated in a town not surprisingly named Otavalo. It’s an hour north of Quito, Ecuador. For most happy go lucky tourists, it’s a super mega bazaar of cheesy souvenirs and llama beanies. Its sheer size alone on a Saturday is pretty impressive. 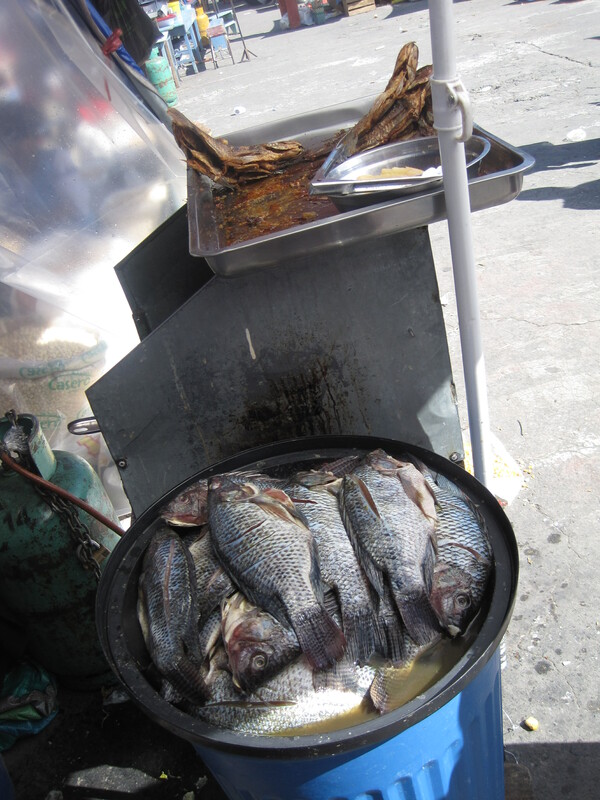 For the hungry foodie though, Otavalo Market offers an exciting and no-frills eating experience. The food stalls are scattered around the market, some travelling around on carts, others set up with umbrellas and make shift chairs. Ecuador has the optimal spot in South America for produce – it has the Caribbean coast, it has the Amazon jungle, it has mountains and flat lands, tropical as well as dry climates. 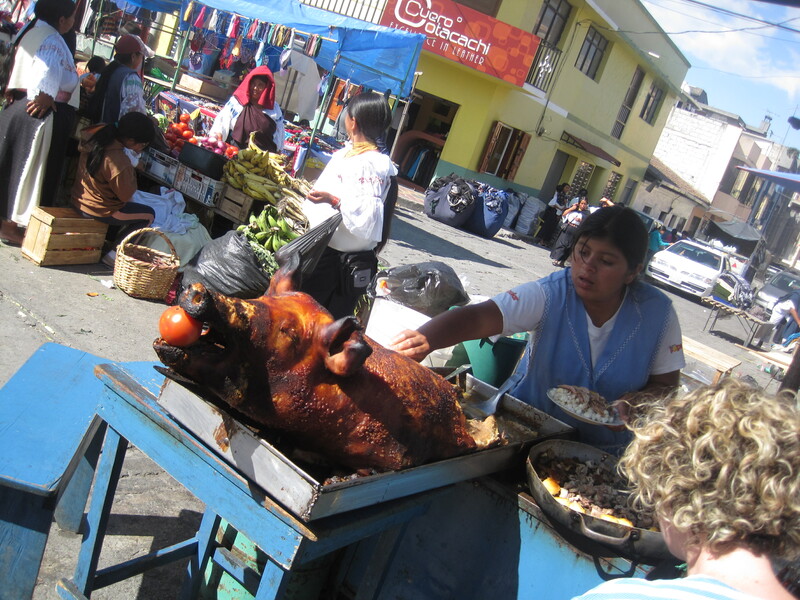 Otavalo Market exhibits this wide range of landscape and the resultant diversity of foodstuffs. Here you can find carts of barbecued plantains – a type of banana that is served cooked and on the plate of every dish along the Caribbean coast. You can continue to find endless amounts of potatoes if you’re still not sick of them yet. You can find whole stuffed pigs, spit roasted, its body gradually being carved up throughout the day (see top image). The mystery food carts covered in piles of blankets travel around the markets. You just have to stop one of them to see what they’re serving up. 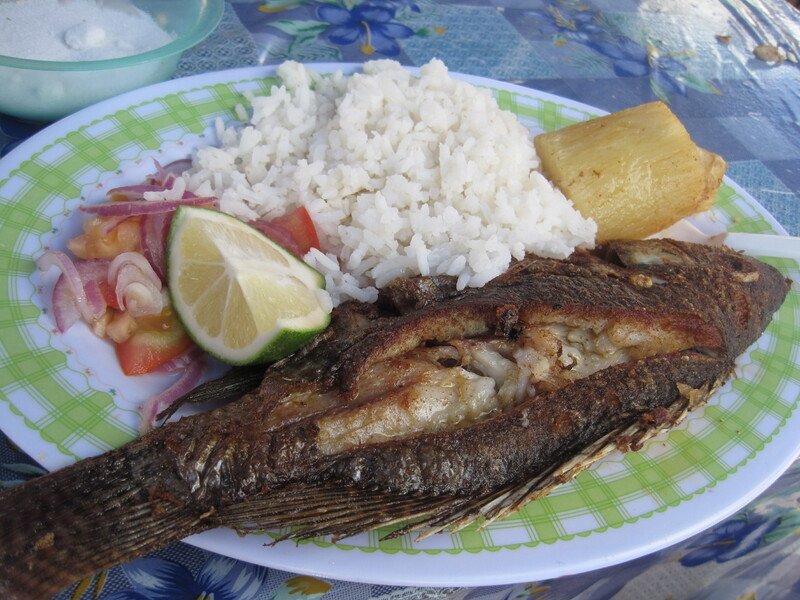 There’s a plethora of mountain and tropical fruits ready to be squeezed into juices and piles of fresh fish ready to be fried up. Tourists don’t tend to stop at the food stalls in their flurry for souvenir shopping. So park yourself at a food stall, and you’ll be greeted with smiles from friendly local market workers stopping for a lunch break. Have your phrasebook handy for a nice chit chat! Info: Ave. Amazonas N23-23 y Veintimilla, Ecuador. If coming from Quito, make sure you go to the correct bus terminal for a bus to Otavalo. 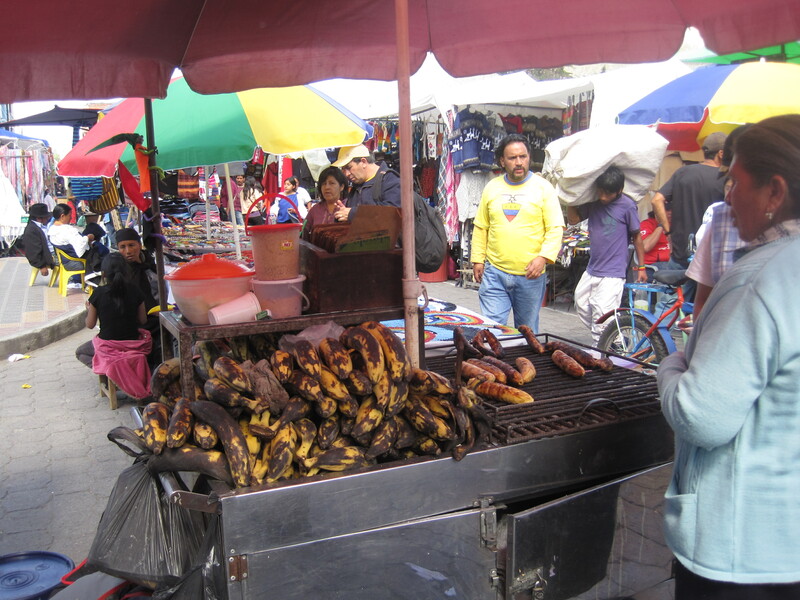 When you get off at the bus terminal in Otavalo, the market’s only a few blocks walk away. How much money to bring: $US1-3 for lunch, and money for shopping! OK to bring a date? yes – if they like markets! but it’d make for a pretty intense first date! It’s closed on: The market’s open most days, but Saturday is the biggest market day. Stalls start packing up around 3pm. Don’t: leave it too late to get the bus back to Quito if you’re making a day trip. Ecuadorians are not great at queuing up and the bus station is absolute chaos at the market’s closing time on a Saturday. Allow at least an hour spent at the bus station before you can push yourself onto a bus back to Quito. Do: haggle the prices if you’re buying souvenirs. It sounds mean, but they’re well used to ripping off tourists here. When they tell you it’s made from alpaca wool, it’s probably not. 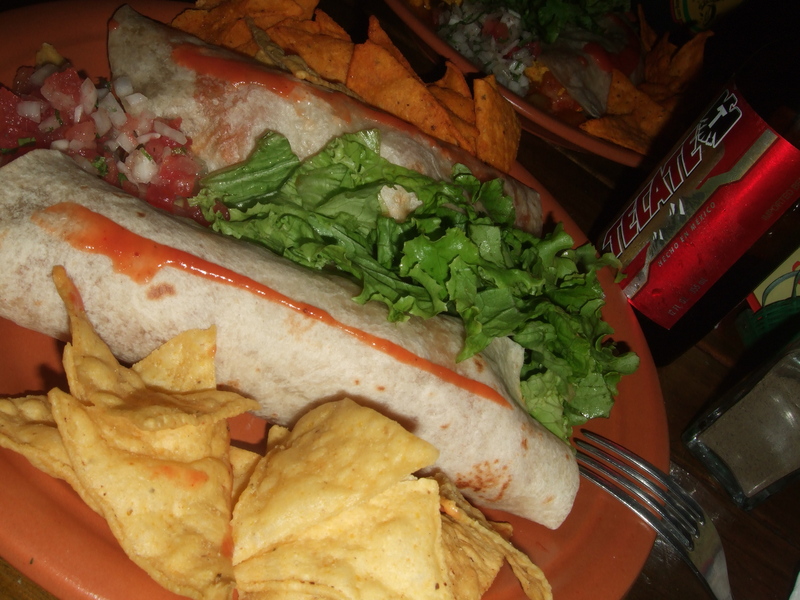 Tags: Budget Eats, Ecuador, market food, Otavalo Market. Bookmark the permalink.